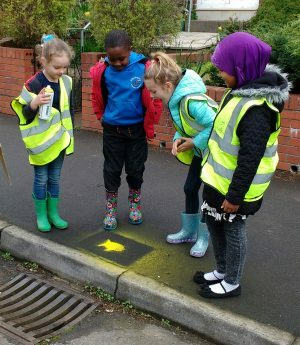 As part of our Greggs Foundation funded project, over 60 pupils from Bristol have been out running their own Yellowfish Project to educate members of their community on the link between storm drains and their river, the Bristol Frome. 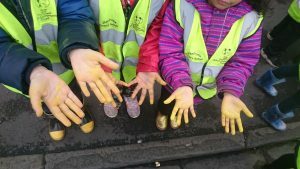 Some of the primary school pupils admiring their handiwork! A massive thank you to all of the pupils who helped us to spread the message, we couldn’t have done it without you! 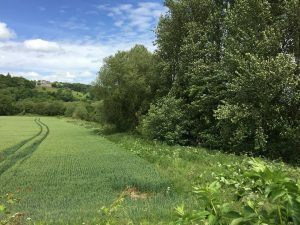 BART have completed a very interesting and useful project funded by the Bristol Avon Catchment Partnership this Spring. Sediment entering watercourses can have a detrimental effect on aquatic ecology, including fish and invertebrates. This project has used predominantly field surveys to identify where sediment is entering watercourses in the upper Somerset Frome catchment and to determine the sources of this sediment. 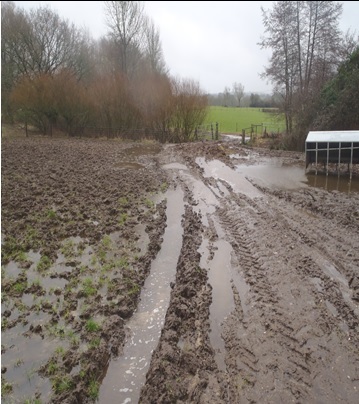 The survey period of the project drew to a close at the end of March, with over 191 locations visited on the upper Somerset Frome looking for potential sediment pathways. 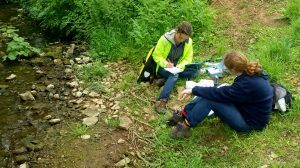 Sediment pathways have been recorded at over 110 locations on the main river Frome and its tributaries including Redford Water, the Rodden Brook and the Marston Brook. 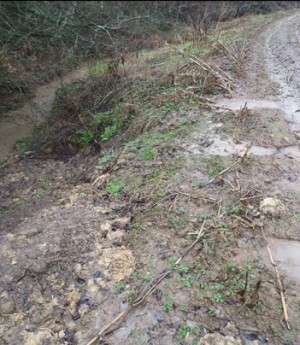 At each location the source of the sediment pathway has been determined where possible and a diffuse pollution grade has been allocated to identify the severity of the pollution pathway. 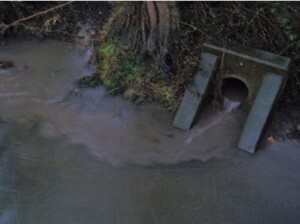 Photo 1 shows an example of sediment entering the Rodden brook via a pipe during a wet weather event. 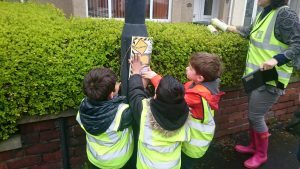 Thank you to all interested individuals and organisations who have been involved in the project and sent in information to help us prioritise areas to visit. Surrounding land use investigations to assess impacts on water quality. BART’s Aquatic Scientist Jess running water quality tests with BART volunteer Jenny. 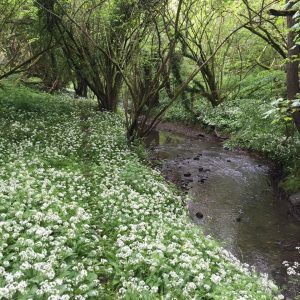 Findings from these surveys will be used to create recommendations for improvement works to both in-stream habitats and surrounding land use. Assessing land use, riparian shading and other factors on the Corston and Newton Brooks. We are grateful to the Duchy Estate for supporting us in this research and for their enthusiasm to protect our rivers. 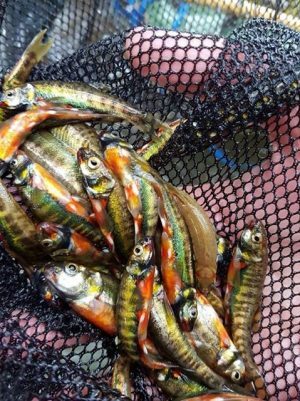 BART have completed the first phase of the pilot Your Fisheries Pilot project which is taking place across the country on behalf of the Rivers Trust, Angling Trust and Environment Agency. 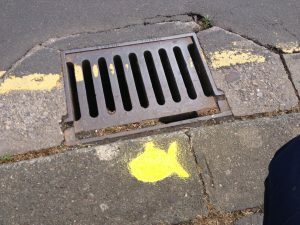 This first phase was funded by the Bristol Avon Catchment Partnership of which BART is a member. We will be continuing this project and developing the relationships we have with local angling clubs which is so important for identifying river improvement opportunities. If you want to know more about the pilot project please follow the link shown below or Contact Ian Mock at ian@bristolavonriverstrust.org.